Cherry and Spoon: Fringe Festival 2016: "A Pie. A Duck. And a Shoe." Fringe Festival 2016: "A Pie. A Duck. And a Shoe." Title: A Pie. A Duck. And a Shoe. Summary: An old-fashioned variety show featuring comedy, magic, music, dance, and puppetry. 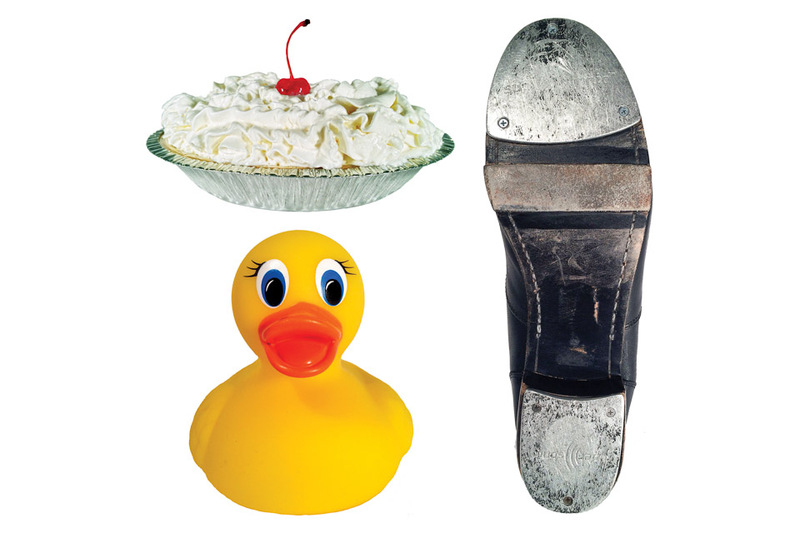 Highlights: I didn't see a pie, but there is a duck and a shoe. This is a refreshingly old-fashioned variety show, just a bunch of diverse acts meant to entertain. The evening is hosted by the very funny comedian/magician David Harris, who does short pieces between introducing the acts. Featured acts include passionate R&B singer Nick Jordan accompanied by Luke Darger on keyboard; a charming shadow-puppet show of "The Ugly Duckling" performed by Neal Beckman, Alejandra Iannone, and Joann Oudekerk; everyone's favorite tap-dancer Rick Ausland of Buckets and Tap Shoes; and rapper Carnage the Executioner who, despite the frightening name, is actually quite friendly as he teaches the audience how to beat box. A simple concept, nothing flashy, but a variety of entertaining acts.